In year two, children need to read, read, read. And one of the ways they move forward is to write, write, write at the same time! 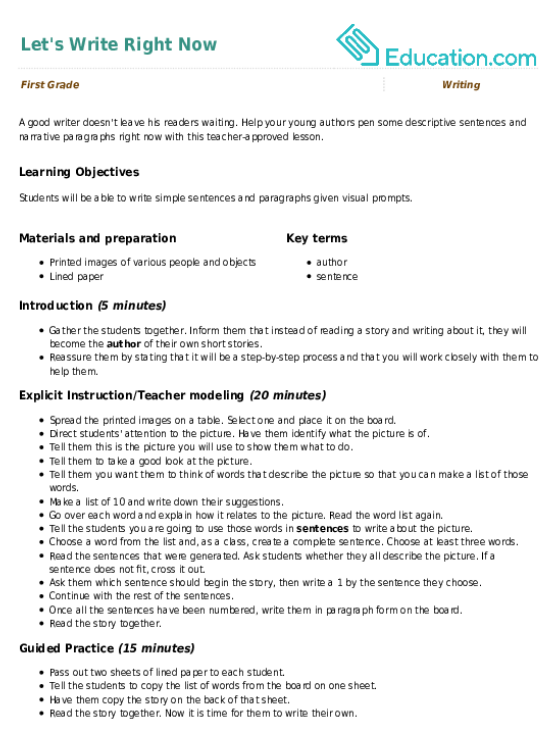 Here is a way to cover both, build those skills in a fun, practical way, and keep in touch with a faraway friend or relative while you're at it. 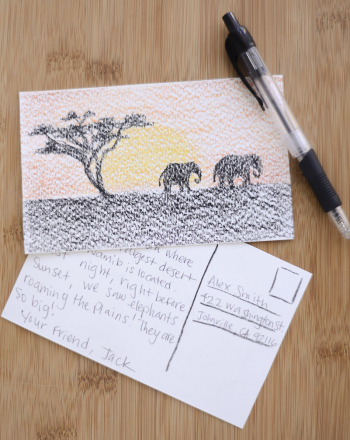 Find a pen pal. This activity works with any child or adult that your kid really loves. This could be a cousin far away, a dear summer friend, or even an aunt or grandparent. All it requires is someone willing to be a correspondent. 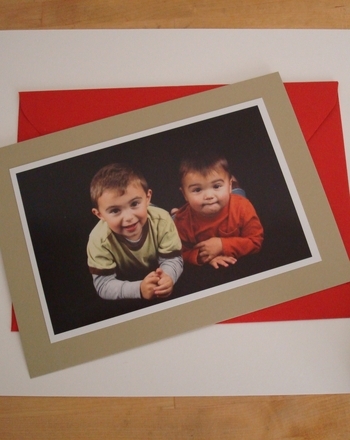 Your child's pen pal services can even make for a marvelous, low-budget holiday gift as well! Take the strips of colored paper and divide them into two stacks of roughly ten strips each. 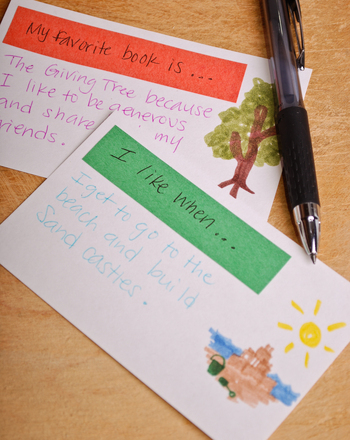 On each one, write a different “sentence starter.” All you need is a few words, such as “I like/I went/My favorite book is…” Give one set to your pen pal, and keep one at home. 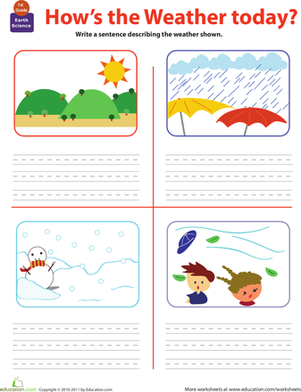 Start the chain: Lay out the strips on a table, and have your child read them and select one. Have her glue it to the top of the page, complete the sentence, and then follow up with one more sentence all of her own. Your child may want to add a picture to the page, too—kindergarteners do this all the time when they write in school, while first graders do it some of the time. Either way, encourage her to use her “best kid writing” and “best kid drawing.” This doesn't mean perfect spelling or penmanship; but it does mean that your child works with effort and care. Now send the letter! Civic activities, like fire, police, and postal services, are an important part of year one and year two social studies curriculum, and they are fascinating for kids. Since addresses may be tough to write, we recommend that you write them on a set of pre-addressed labels, and let your child practise sticking them onto an envelope correctly. Correspond! Can your child and her pen pal go through a whole pile of “sentence starter” letters? Give it a try—you'll be cementing a friendship while building literacy skills day by day. Encourage him to write back to Sakura all about his life in the U.S.
Help him write back to Rahul about his own life in the U.S.
Help your young authors pen some descriptive sentences and narrative paragraphs right now with this teacher-approved lesson. Using the letter outline, encourage her to write a letter back to Ling about her life and dreams. See this activity in a set: Get it Write!